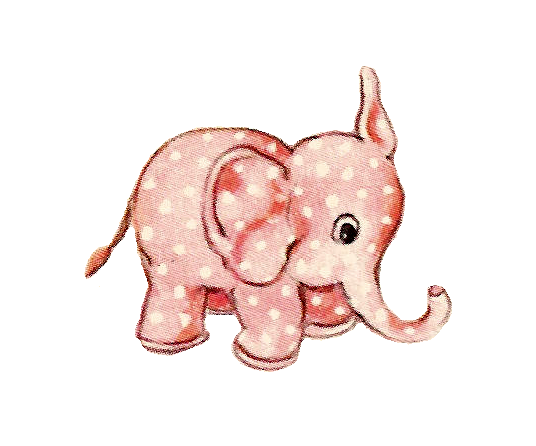 This is an adorable piece of baby clip art from an antique baby keepsake book. 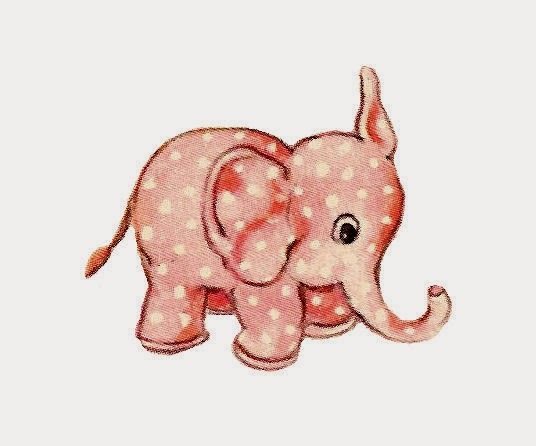 This pink, polka dot elephant toy would be an incredibly cute element in a baby girl project, don't you agree?! This toy elephant graphic would be lovely decorating gift tags or invitations for baby celebrations. 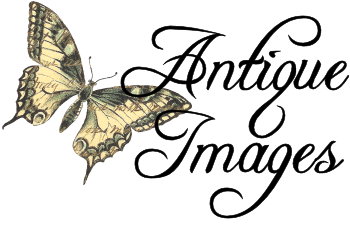 I've given you both the .jpg and .png files of this toy clip art. I've post another cute baby clip art from the same book here. I hope you enjoy! Thank you for this cute elephant. This is the cutest little elephant ! Heartfelt "thank you"
Do you know what children's book it is from? The book is entitled, Story of Our Baby, and was published in 1919.